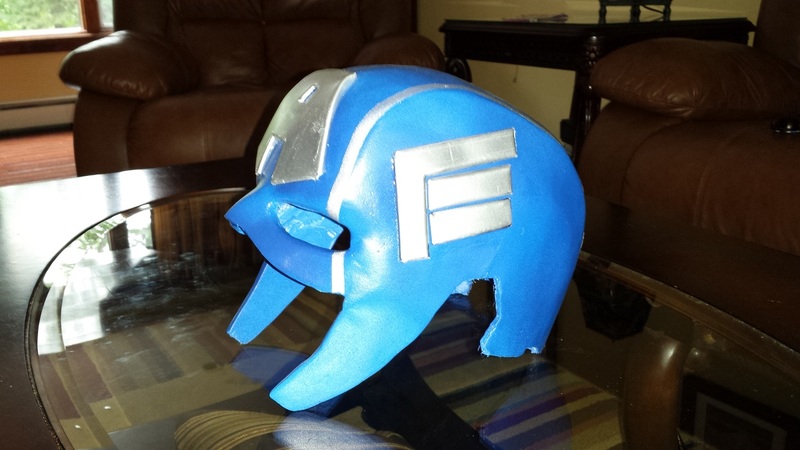 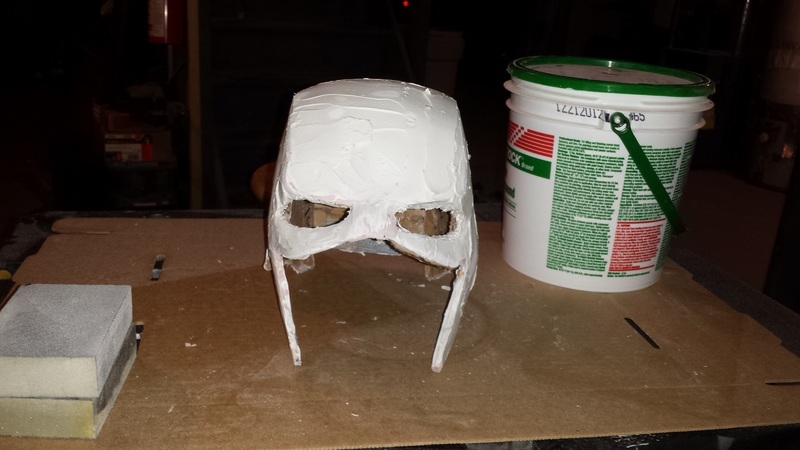 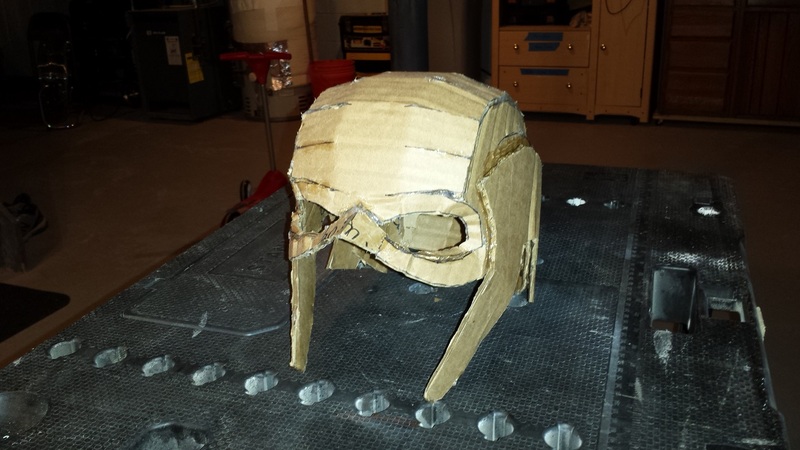 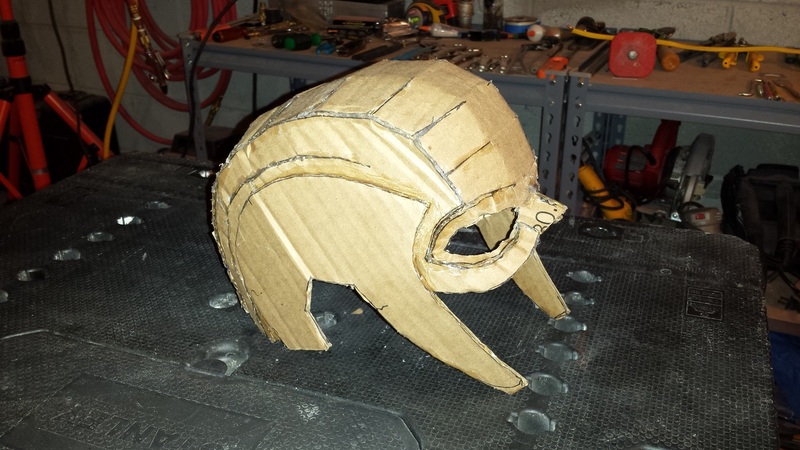 Basically following some guidance on YouTube, I was able to build a helmet from scratch. 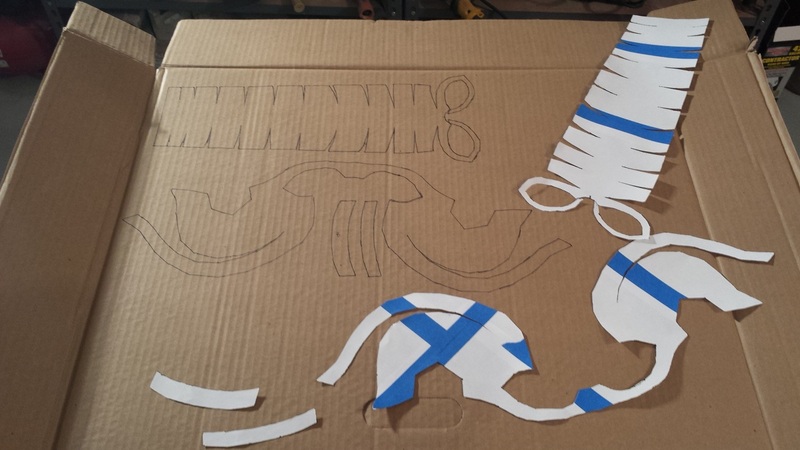 Step 1) Print out a template onto paper, take the paper stencil and transfer it to cardboard. 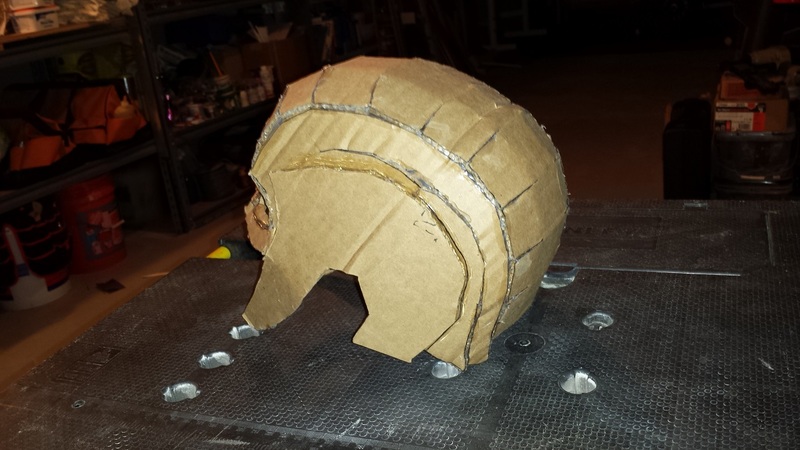 Step 3) Use Bondo to harden the crap out of the cardboard. 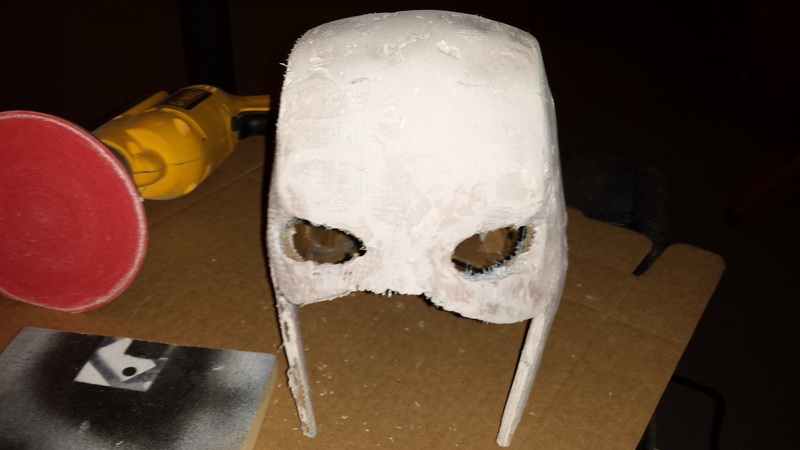 Sand and repeat until you get here. 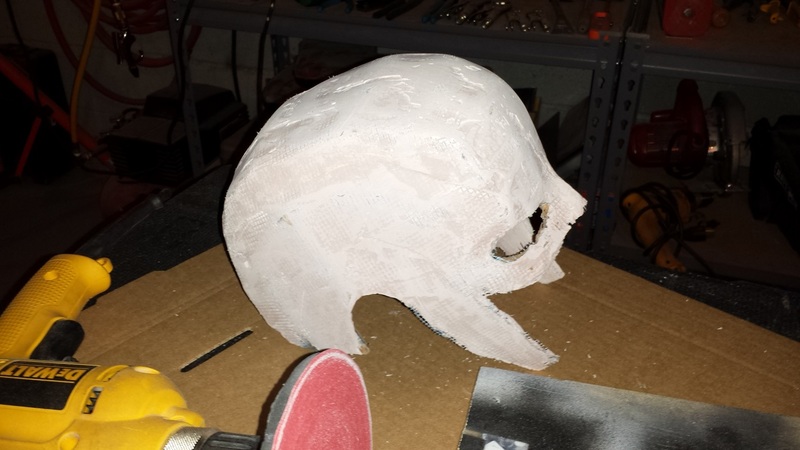 Step 4) When you get it smooth enough with bondo, use joint compound to fill in the annoying little holes and imperfections. 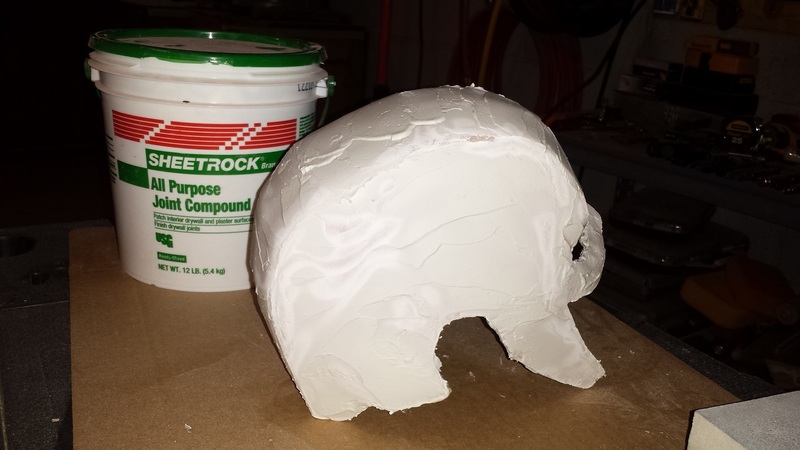 Sand and repeat a few times until it is close to perfect. 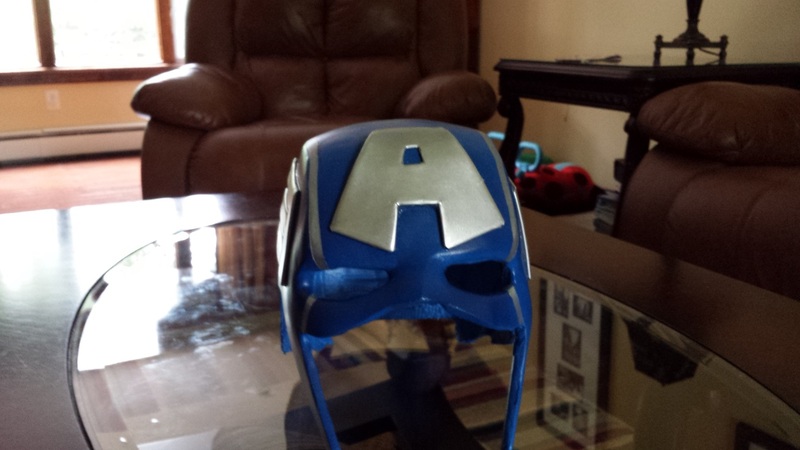 Step 5) Paint and add aluminum accents to give it a nice finishing touch.